We all want the best for our students. We want them to learn as much as possible, and get the highest marks possible. To do that, we need to be the best tutor possible. Creating fun, informative and engaging lessons is conducive to learning, and will make your classes a positive experience for everybody involved. Luckily, there’s help at hand. Disciples of Kahoot can’t quite imagine a world without it. It’s one of those dream educational resources that never fails to make learning fun, and can engage the most resistant of students. It functions like a game show. Questions appear on a computer screen with four possible answers displayed below. Students select the correct answer remotely on a mobile phone as quickly as possible, and find out how many points they scored. 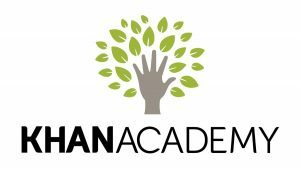 There are full instructions on the website, where you can either create your own quizzes or access those made by fellow tutors for a quick plug ‘n play experience. 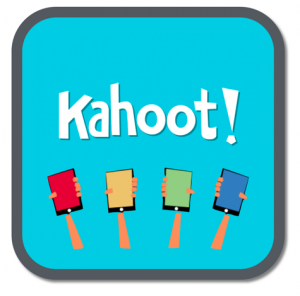 Another resource from the ‘fun quiz’ family, Sporcle is a little more measured and slower paced than its fast and furious counterpart, Kahoot. 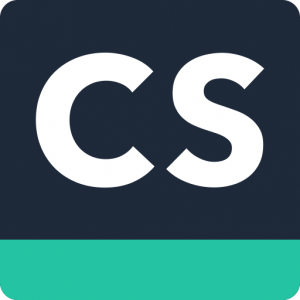 Requiring students to recall a large amount of information within a strict time constraint, Sporcle is a great way to end a lesson on a high note. The first thing a student does after class is go home and watch videos on YouTube. Why wouldn’t you want to harness that natural enthusiasm? Some old-fashioned tutors may prefer slaving over a traditional textbook, but the truth is that YouTube is a great learning resource. You can find information on just about any subject you wish, and students will finding learning through a platform they know so well to be a refreshing educational experience. Google is so ubiquitous in our day-to-day lives, it’s become just about as important as food, water and oxygen. Students will be well attuned to using google, so implementing it into your lessons (by, perhaps, letting the students use their smartphones to find new information) helps modernise their learning experience. Not only can in-class-Googling develop your students’ IT research skills, it also erodes the divisions between real life and traditional clichés about education, really bringing a subject to life! If you were reading a 30-year-old article outlining the essential resources that every tutor needs, there’s no doubt that you’d read all about the benefits of corkboards. Well, consider Padlet corkboard of the 21st century. Padlet allows students to organise their work and ‘pin’ ideas up to come back to later. It’s a great way for students to spread out all of the stuff they’ve learned, and get a view of the ‘bigger picture’. Did you know that the average tutor uses an entire forest’s worth of paper every single year? If you hadn’t heard that before, it’s because it isn’t true. I made it up. There is, however, no denying that the amount of paper a tutor uses is gargantuan, and often unmanageable. That said, what’s the alternative? One endless piece of paper that we can use to make aaalllllllll of our notes on? Yes, actually. OneNote is just that. As well as scoring some karma points for saving the environment, the OneNote organiser is a godsend for tutors and students alike. There is a surplus of educational websites on the internet, and a quick search of ‘online maths course’ will yield millions of results. Whether there is a surplus of quality educational websites on the internet is an entirely different question all together. The truth is that the world of online-education is a profitable one, and it’s important to separate the cowboys from the resources that can truly help a professional tutor. The Kahn Academy is very much of the latter. 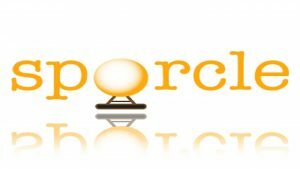 Offering mini-lessons in a variety of subjects, the website is a goldmine for any tutor looking to supplement their lessons with outside input. Furthermore, some tutors even use the website to brush up on their own knowledge before wading into a topic they haven’t covered for a while. The National Geographic has been the best friend of any budding young scientist for as long as anybody can remember. Although the first thing that jumps to mind is the magazine publication, The National Geographic has a wonderful website too, and fascinating accounts from real people. On top of that, the National Geographic has a kids’ website chock-full of graded stories, games and colourful pictures. The perfect companion to any fascinating science or geography lesson. A calendar is a staple for both tutor and student. Time is money for the tutor, and time is knowledge for the student. With that in mind, it’s best to stay on schedule. There’s barely a tutor working that hasn’t switched to a digital calendar. Not only can you make adjustments and changes to your ever-growing timetable, you can share it with your students too, guaranteeing that you’re both on the same page. People often ask, ‘will I learn a new language with Duolingo?’ Most language teachers agree that the answer is ‘sort of, but not really’. Learning a language is a multi-faceted experience, and to truly know one requires you to learn grammar and vocabulary, as well as developing your ‘skills’ (speaking and listening). However, if the question is ‘can Duolingo help a student learn a language?’ The answer is yes. A thousand times, yes! When it comes to written grammar, spelling and vocabulary, Duolingo has been nothing short of a game changer. 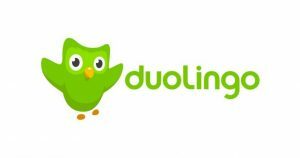 Whether a tutor implements Duolingo into their classes, or sets it as homework, it’s an essential part of the modern language teacher’s toolkit. Once you’ve harnessed the powers of Duolingo, the logical next step is Tiny Cards. 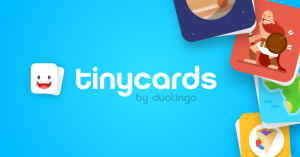 Brought to us by the same developers, Tiny Cards allows us to use the Duolingo format to create our own review materials, expanding its capabilities well beyond the constraints of language-learning. 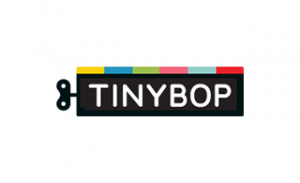 When it comes to today’s technology motivated youth, Tiny Cards is both relatable and fun. When it comes to delivering a lesson, every teacher needs variety and the ability to mix things up. For visual learners, there are graphs, charts and pictures. For kinetic learners there are games, and physical activities. 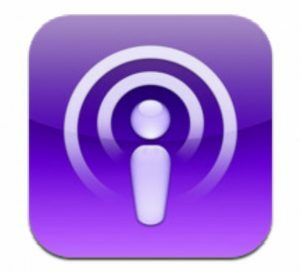 For audio learners, there are podcasts. There’s a wealth of podcasts on any subject you might wish for, and you’ll be able to select one with a style and tone that fits your student’s personality like a glove. Many tutors use excerpts from podcasts in their lessons to reinforce information that’s already been taught – sometimes you need to hear something from more than one person, before it properly sinks in. Whilst actual Dictaphones are fast becoming a thing of the past, copycat smartphone applications are most certainly not. 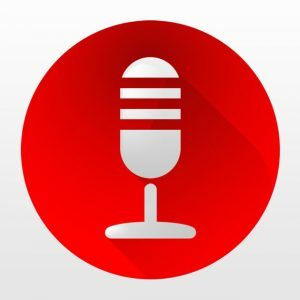 Not only can students use the apps to record their sessions and listen back at a later date, tutors of just about every subject can find a use for a Dictaphone. For language teachers they’re great for pronunciation, and tutors of history, geography and science can help their students create spoken ‘revision quizzes’ to take home. 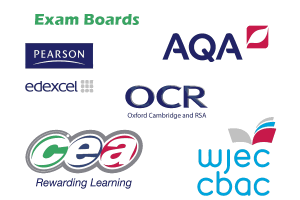 If you’re a tutor in the UK, it’s highly likely (nay, almost certain) that you’re preparing some students for the SATs, GCSEs or even A-Levels. It’s all fair and well delivering a beautifully planned and executed lesson on, say, Ancient Egypt, but if the exam curriculum is all about the Roman Empire, your hard work will have been for nothing. Before you start an exam course, take a look on the website of the relevant examining body. You’ll even find extra resources on there, to help your students fully prepare for their big day. As well as teach their students subject-specific information, part of every tutor’s battle is to help students realise that the things they’re learning aren’t arbitrary, just words from a text book… they’re from the real world that we all live in! The BBC website is the resource to end all resources. You can find an article on pretty much anything on there. 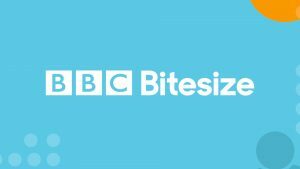 As well as providing a real-world context for a student’s studies, the BBC also offers actual help for British students’ exams. The Bitesize series is a tried and tested collection of materials that can be used as a crucial building-block in any tutor’s lesson plan. 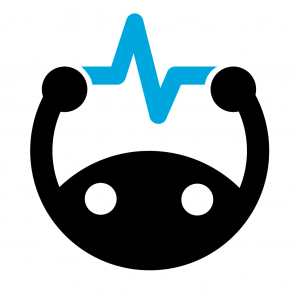 Memrise isn’t dissimilar to Duolingo, but with a little more flexibility. 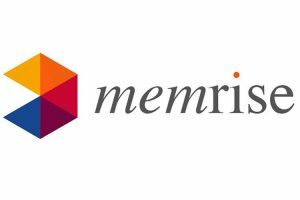 Memrise was developed by a memory-champion who implemented professional memory techniques into learning (and, of course, remembering) new things. 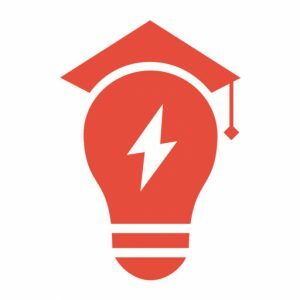 You can create your own courses, using visual or written cues to prompt your student’s memory-bank, or use one that’s already been created by a fellow tutor. Memrise also allows you to create virtual classrooms to keep track of your students’ progress. Nearly every video game, or fun smartphone app is based around maths. Contrary to popular belief, maths is actually fun! The people at Coolmath certainly know that, and offer a rich database of games and puzzles to insert into your lesson. Whatever the topic, you’re sure to find an activity to spice your lessons up. You’re probably starting to notice a reoccurring theme: students retain information when it’s relatable to their own lives. It’s no great secret, and it’s something every tutor should know. Want to put it to the test? Stick ‘How stuff works’ into your next lesson. It’s a free website that tells you all about…well…how stuff works! Not only is it genuinely fascinating, it shows students that they’re learning about maths and science for a reason. In a similar vein, Reddit’s subreddit, “Explain it Like I’m 5”, is a valuable tutoring resource. It’s an internet forum where people ask fairly complicated questions, usually related to science, and are answered by educated professionals in an understandable and simple way. Explaining new information in layman’s terms can be one of the trickiest parts of teaching. Whether a tutor uses comments from ELI5 in their class, or just takes a look beforehand to consider how they’ll explain Pythagoras’ theorem for the first time, it is always to the benefit of the student. Scholastic is a wonderful and helpful organisation based all around books. As well as donating millions of pounds worth of books to schools every year, their website features a myriad of pictures, worksheets, graphs, you name it! 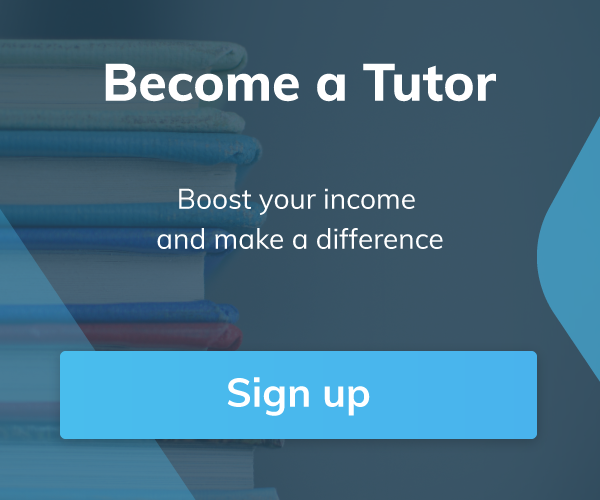 Tap into their resource bank once, and you can bet that you’ll join a legion of tutors that come back time and time again. The BBC History website deserves a special mention all of its own. Its articles and videos are well-written, well-produced, and cover every topic you may find yourself teaching. The standard website is most useful for teenagers and young adults, but there’s something for the kids too. The BBC history for kids section has a range of colourful, fun activities that aim to engage and inform. Whilst many of the aforementioned websites and apps focus on subjects like maths, English, physics and chemistry, we haven’t taken a longer look at teaching biology. 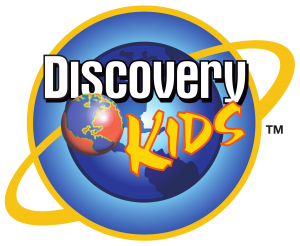 This is where Discovery for kids excels. The website is packed with games, videos and pictures that will educate young, curious minds about all things natural. 10 minutes a lesson on Discovery for kids, and you’ll soon have the next David Attenborough on your hands. If you teach kids or teenagers, they’ll like BrainPop. A lot. 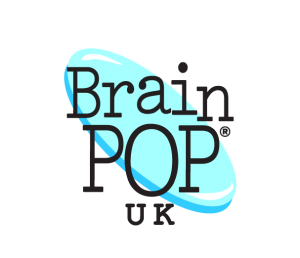 If you teach kids of teenagers that read comics or watch animated shows, they’ll absolutely love BrainPop. That’s because BrainPop is a vast collection of educational animated shorts, in comic book style. Since it first hit the scene, it’s grown exponentially in popularity and is an in-class staple for many tutors. Starfall does many of the things the other resources do. Puzzles, games, comics, charts, all in the name of education and developing reading skills. 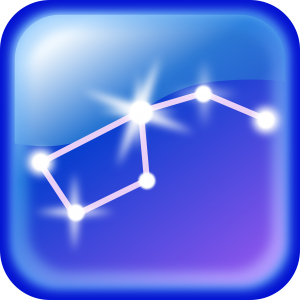 The main difference is that Starfall is specifically aimed at children, rather than teenagers and above. It should be the first bookmark in every young learner tutor’s web browser. Nothing quite captures a child’s imagination like space travel, the solar system and beyond. NASA Kids’ Club has all of these, and more. 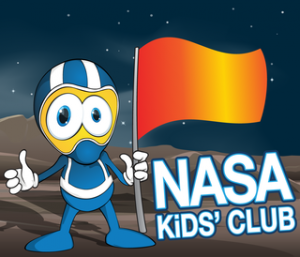 As well as broadening their knowledge of all things-space related, kids can also learn about NASA’s current pioneering exhibitions, presented in a way they can understand and connect with. Fun, breezy ‘warm-up’ or ‘cool-down’ activities are a part of every good tutoring session. They give the lesson dynamism, and inject some much needed energy. 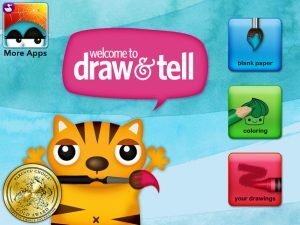 If you’re working with students at the younger end of the age spectrum, Draw and Tell is perfect. You can probably deduce how it works just by reading the name. Put 5 minutes aside at the end of your next young learner class and give it a try. You won’t regret it, and neither will your students. Staying on the theme of young learners, nothing quite captures a child’s imagination like quiver-vision. 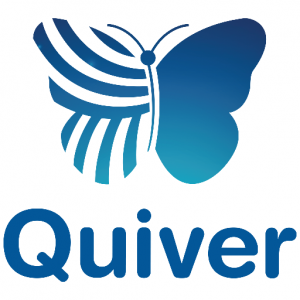 Quiver vision matches children’s boundless creativity by bringing their drawings to life. First students colour in a worksheet (this part of the lesson can be where the teaching happens) and then, when they’re finished, their teacher uses the free quiver vision phone or tablet application, which then uses its camera to animate the child’s drawing. Video projects are an oft disregarded tool in a tutor’s arsenal, but their educational potential is undoubtedly massive. The only problem is that they’re a lot of hard, technical work. Or, more accurately, the only problem is that we think they’re a lot of hard, technical work. 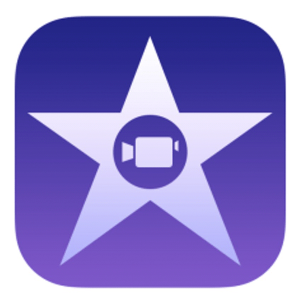 With resources like iMovie (or a Windows equivalent) creating and editing video projects is easier than ever, so there’s no excuses to avoid tapping into this valuable resource. Here’s another app that’ll make you feel like you’re living in the future. The name ‘Photomath’ suggests that you can just take a picture of a maths problem, and the technology will solve it. Surely, though, that can’t exist… can it? 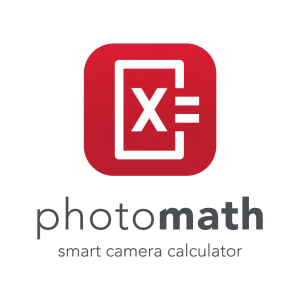 Photomath is a great way to help students check there answers, or work backwards to see how the correct answer was reached. TED talk conferences are just one big party for all those who are curious about the world, and everybody’s invited! You can find educators expanding on just about any subject and topic in the world. Not only is every talk fascinating in its own right, it’s also inspiring to see intellectuals and academics speak passionately about their research and findings. A TED talk can be the fundamental basis for an entire lesson, itself. What’s more, TED even makes life easy for tutors with Ted-Ed. Ted-Ed includes comprehension questions, and has bonus features to really engage the student. Every tutor strives to craft the perfect, most involving and entertaining lesson they can imagine – and for good reason – but eventually, as exams loom large, it’s time to really cram every last bit of knowledge into our students’ heads. Flashcards are terrific for rote learning, and embedding facts into the memory. Using a digital flashcard program, like the excellent Brainscape, means we can create and recycle more useful flashcards than ever. Even if you haven’t heard of GradeProof, you can bet that your students will have. It’s a sneaky student’s dream: you simply upload a document, perhaps homework or an essay, and it automatically proofreads it. You’re probably wondering how it’s of benefit to a tutor. Simple: if you can’t beat ‘em, join ‘em! Instead of battling against apparent study-hacks like GradeProof, we can turn them into an educational machine. Whenever your student finishes an essay, feed it through the program together, and encourage them to understand why they made the errors that they did. The days of students scrabbling around in the bottom of their filthy bags, looking for a crumpled up old photocopy of the periodic table, are well and truly over. As well as displaying all of the element in the classic chart, the application also contains extra information about each element, such as when they were discovered and the origins of their name. Every serious tutor knows that organisation is of paramount importance, both for the teacher and their student. Storing your lesson plans, homework, and just about everything you’ll need again one day is a digital business in 2018. Not only is a platform like Dropbox far more convenient, it also shows your students and their guardians that you’re not some dusty old tutor living in the past. Whilst Evernote doesn’t offer anything unique that other resources on this list don’t, it does offer the luxury of having them all in one place. More and more tutors are using Evernote to make lists, take notes, and pretty much organise their lives. iTunes University isn’t dissimilar to the iTunes podcast section, only with a little more focus on academia. It has audiofiles packed with vital information on every subject, presented and taught by real academics of the field. 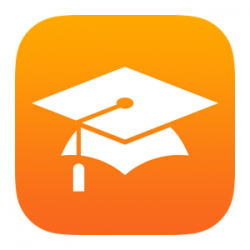 Whilst Itunes University materials might be a little, let’s say, ‘heavy’ for younger learners, they go into just the right amount of depth for students who are preparing for their GCSEs and above. Eat. Sleep. Print. Repeat. If you can empathise with that, you’re definitely a tutor. Printing a worksheet is like making a cup of tea, for us. Scanning, though, is a whole different kettle of fish. Whether it’s firing up the dusty old scanner to find a bulb has blown, or if it just won’t fire up full stop, something always goes wrong. 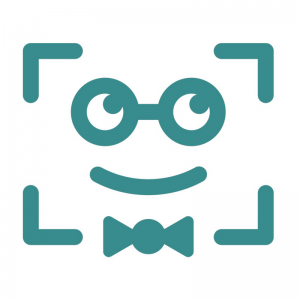 Thank the lord, then, that somebody invented cam scanner – the application that lets you use your phone or tablet as a scanner, by means of their cameras. Students can spend hours upon hours slaving over textbook based star maps, but as soon as they wander outside at night and stare up into the blackness, the stars and galaxies melt into one big spider web across the night sky with no rhyme nor rhythm. Star walk gives it all context, allowing students to hold their phone up and practically ‘read the sky’. It’s great for homework and also works in the day, so can be used in lessons, too. Although it wasn’t first on our list, Quizlet is (by far) one of the most popular educational resources out there. By means of flashcards, quizzes and other fun games, it’s a revision resource that just keeps on giving. A quick game on Quizlet at the start of a lesson is a great way to review last week’s work, and get your lesson off to a flying start. Every tutor knows that an essential part of the job is maintaining a dialogue with the student and their parents. In the past that involved arranging time consuming meetings that scared the students to death, and were an inconvenience for both parent and tutor. 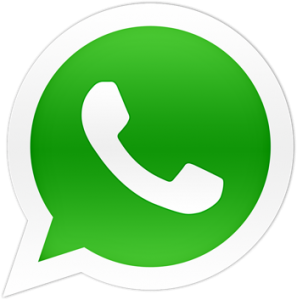 Thanks to WhatsApp, all that has changed. Before you start work with a new student, create a group with them and their parents. 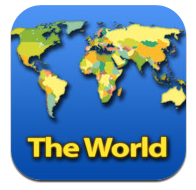 Tap maps cleverly combines a comprehensive and up-to-date world map with educational trivia. Students are able to move around the world map, stopping and clicking on any country they (or you) wish to test their geographical knowledge, on. 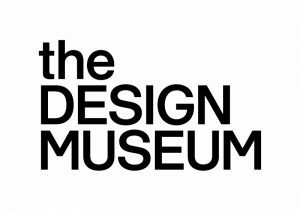 The Design Museum Collection is a novel idea that both contextualises the history of design, and highlights the technological advancements made in the last one hundred years. In over 3000 items, the collection demonstrates the developments in the design of objects ranging from household appliances to communications. TDMC is a friend of any creative and progressive History or Science tutor. 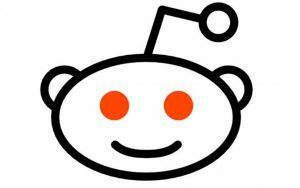 Reddit is a social media website with a difference – you can find communities dedicated to pretty much everything. As a tutor you’ll find groups of colleagues who teach similar subjects, sharing ideas and lesson plans. Meanwhile, your students can bond with peers who are preparing for the same exams. As human beings, we always work better together. Reddit is a great place to meet likeminded folk. Mind Meister allows students to lay out all of their ideas, and look for possible connections between them. It’s great for visual learners, and uses the cloud, so students can return to their work or even share it with friends. It is, in other words, one big online mind-map! Both Google Earth and Google Maps Street View have been around for a while, so it’s easy to take them for granted. Their educational potential, however, is limitless. If you’re a geography, being able to show your student what life is actually like anywhere in the world is the kind of thing that tutors of the past would have dreamed of. Equally, imagine how much different your own science lessons would have been if you’d had a 3D planet to explore. You may not have had these tools when you were in school, but you have the opportunity to provide them for your own students. An opportunity too good to pass up. 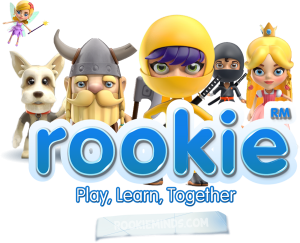 Rookie maths is the perfect antidote to any younger learner (around 6 – 11) who is, shall we say, struggling to find fun side of mathematics. The application tests our students on all of the mathematical knowledge they need to learn at their age group, but all by the means of a sleek and fun video game. Whereas some educational video games can be a little clunky, Rookie Maths is effective, enjoyable, and looks great. Your students won’t believe how fun this app is until they’ve tried it. The goal of ‘Weather’ is to teach students the science behind what’s going on above; wind, rain or shine, and it does so effectively. What makes it great, though, is that students are actually put in control of the weather itself, and are allowed to play God and experiment with blue skies, blizzards and tornados until their heart’s content. Snap revise is beautiful in its simplicity. Aimed at GCSE and A-level students, it offers a straight to the point, no frills overview of all the revision points ahead of the exams. Whilst the website and application may not be the best means of first introducing new topics and information, they’re undoubtedly one of the most effect ways to review and consolidate knowledge. Cell Biology brings the small stuff to the big screen (or the smallish screen, if you’re using it on a mobile phone). 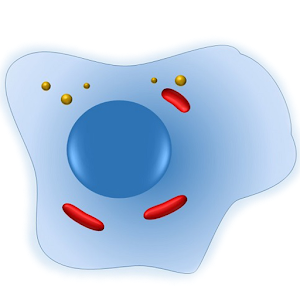 An animated and dynamic overview of molecular and cellular biology, Cell Biology 101 is designed for the total layman, so presents even the most complex biology in a simple, understandable way. So, we’ve made it! Congratulations for getting through all fifty. It’s been a long read, but once you bring your lessons to life with the popular resources listed above, it’ll all have been worth it.